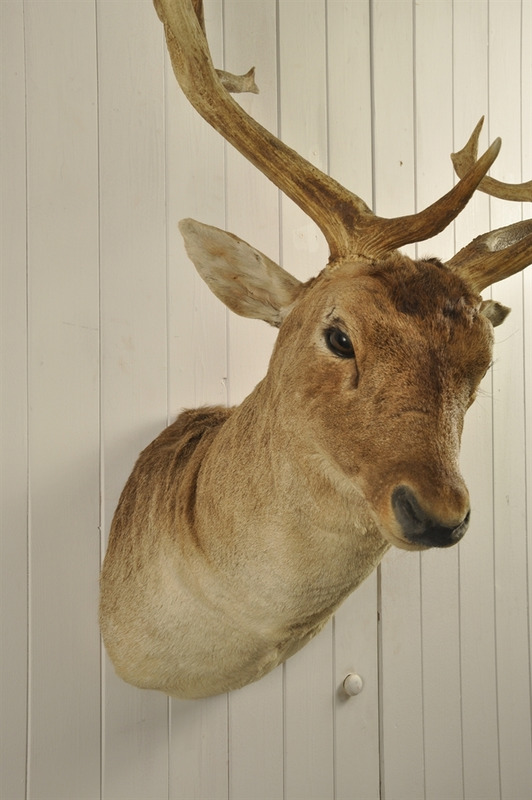 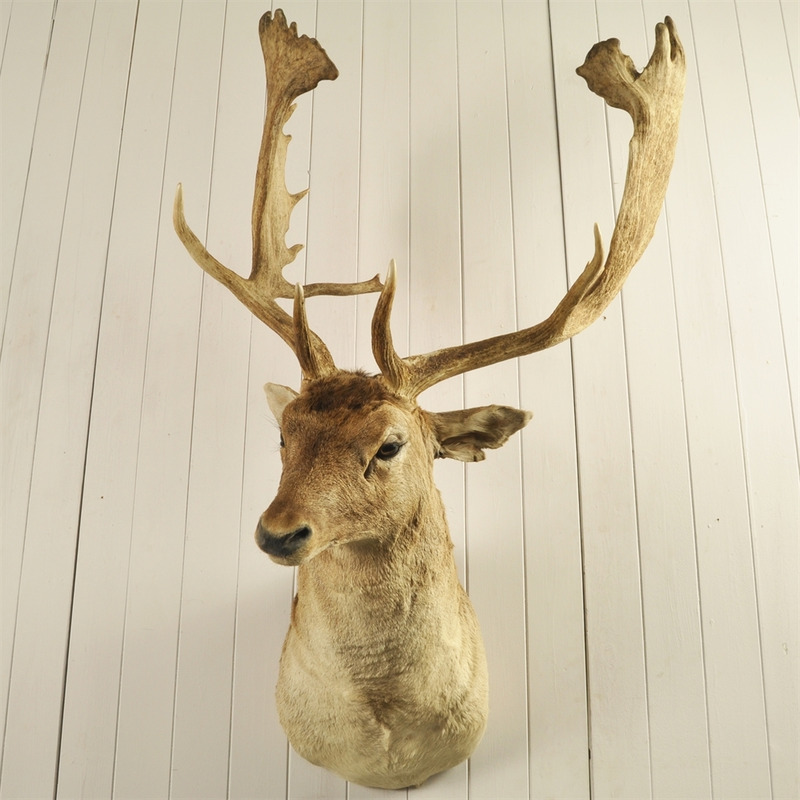 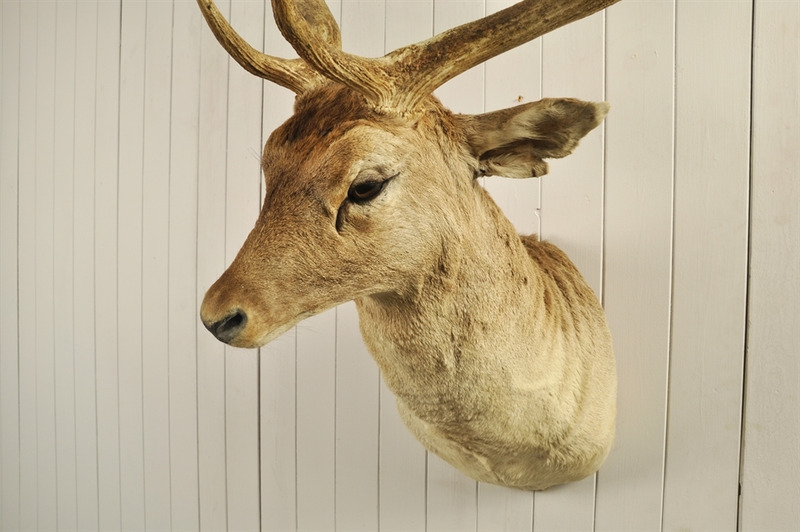 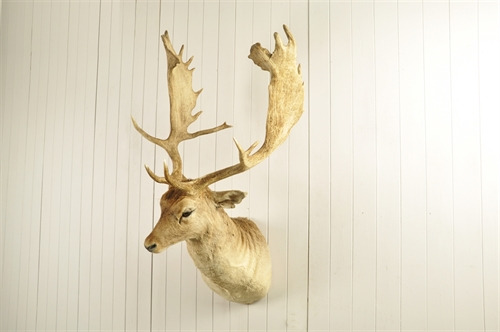 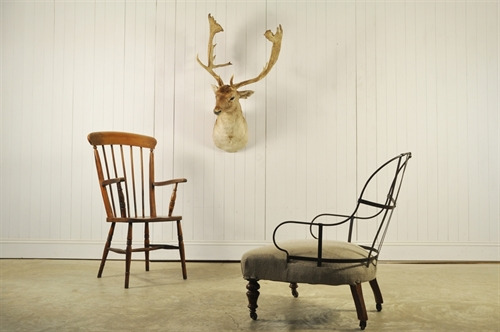 Large Fallow Deer Mount - Original House – Decorative Antiques, Vintage Industrial Furniture and Lighting, Cotswolds. 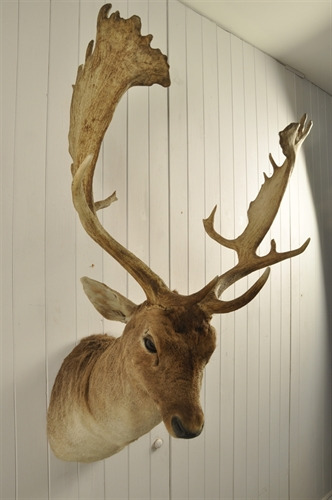 This impressive piece of taxidermy came out of a large country house in Belgium. This fallow deer mount is in very good condition with no obvious damage - we do not believe that it has any great age to it. 114 cm h x 68 w x 60 d.